There’s still time to head ‘up north’ for a summer family vacation at the lake before school starts. 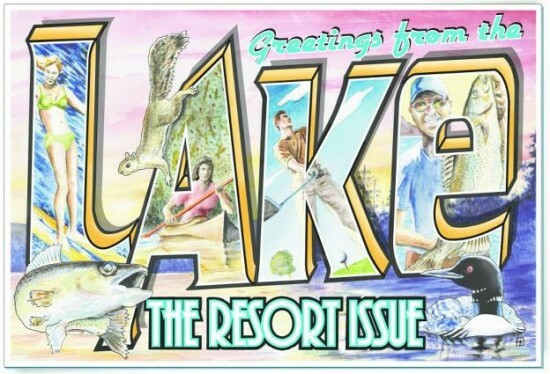 While searching for a great Minnesota family resort, I found a fantastic article in my local paper,the Star Tribune, by editor Kerri Westenberg. There are SO many resorts and cabins, she asked her readers to submit their favorites,”the places that draw them just as surely as wet skin attracts beach sand”. Click the photo or this link to read the full article. There are three main areas, although they each cover a lot of ground: Brainerd Lakes area (closest to the Twin Cities at about 3.5 hours northwest), Bemidji, and the North Shore (along Lake Superior, north of Duluth). There are occasional celebrity sightings in these areas, too; Brainerd seemingly the most popular. Kerri’s article features an interactive map showing which resorts are in which area, reviews, phone number and link to the resort’s website. If you are heading ‘up north’ and need a great place to stay, please read Kerri’s article for a comprehensive list of great resorts along with reader reviews and stories. You’re sure to find one that becomes a family favorite in your household. Let us know your favorite in the comments below! « Cooper’s Pack Travel Guides are the Most Kid-Friendly Travel Guides Around! Good day! I simply wish to give an enormous thumbs up for the good information you’ve gotten right here on this post. I might be coming again to your weblog for extra soon.